Another great example of past inspired sculpture is located on the University of Strathclyde campus in Glasgow. The sculpture ‘Callanish (Steel Henge)’ by Gerald Laing was erected in 1974. It comprises 16 steel pieces each 16 high, arranged in form that evokes the layout of Callanish, Lewis. 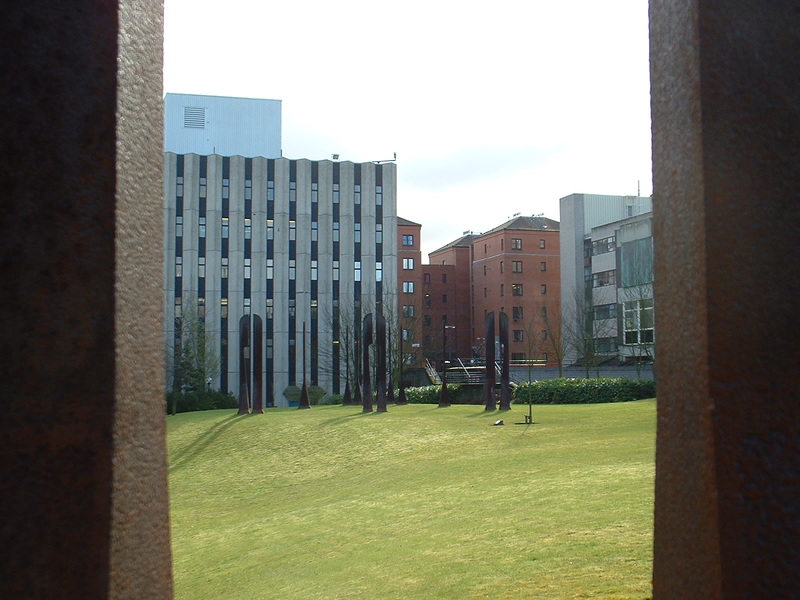 Its location and further art in the public realm in Glasgow can be found at Active Art Trails. The monumental scale and nature of material of this piece means it is still a distinctive site in the city, which can be readily found when you look. However, much art in the public realm does not survive as long as the near forty years of Gerald Laing’s, Callanish. I wonder how many piece on the Active Art Trails can no longer be found, and are now no more than an archaeology of art…? This entry was posted in Creativity and tagged Active Art Trails, archaeology, art, Callanish, Gerald Laing, Glasgow, History, Public Art, Sculpture, University of Strathclyde by gmacg1. Bookmark the permalink.